Many people, like me, have abandoned old fashioned cable television in favor of streaming services like Netflix and Amazon Prime. But for watching sports, this is a real pain. 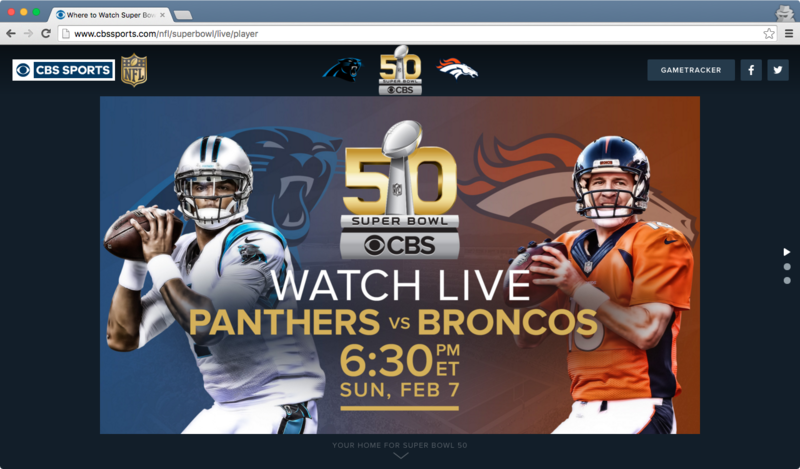 Fortunately Super Bowl 50 will be streaming online - for free. Click here to stream the game from cbssports.com. You can also watch the game using the CBS Sports App on any of the following devices - iPhone, Android phone, Xbox One, Apple TV, Android TV, Roku, and more.